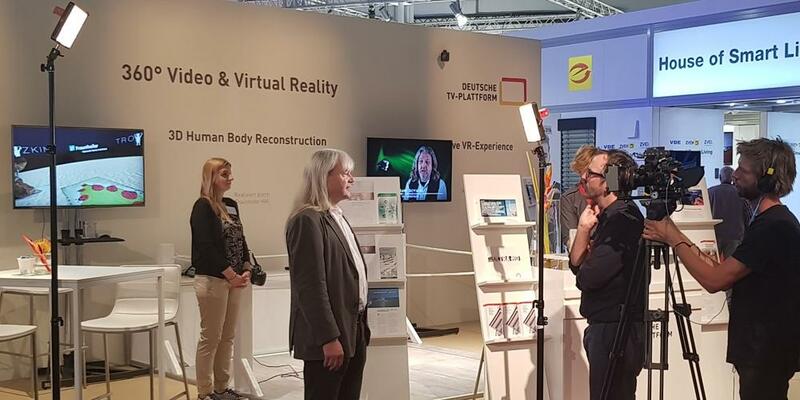 From August 31 to September 5, 2018, FAME will exhibit at the IFA in Berlin. 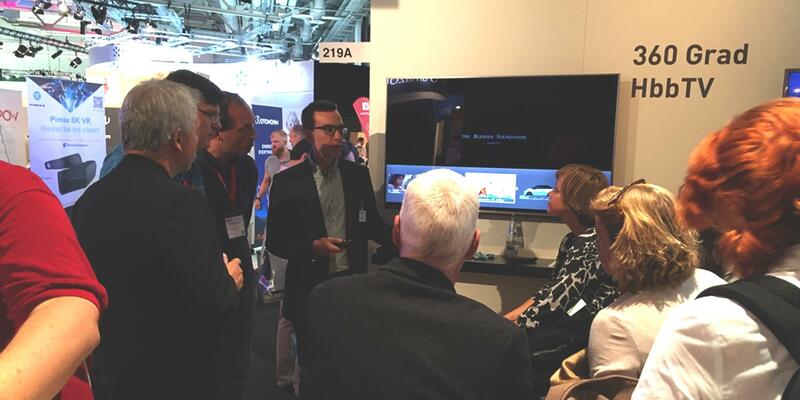 Visit us at the ZVEI Deutsche TV Plattform booth in hall 26, no. 203 A.
Fraunhofer FOKUS shows the 360° Video Playout demo "360° 24K Interactive". The Cloud-based 360° Video Playout allows the viewing of high quality 360° videos on devices with constrained capabilities such as TV sets and HDMI stick devices. Usually the delivery of such video material consumes a large bitrate and results in a considerable processing load to perform the geometrical view projection and rendering. For example in order to achive a 4K FoV resolution, bit-rates of 200 – 300 Mbit/s are required to stream the complete 24K 360° video and it requires a few seconds to render the 4K FoV frame from the 24K equirectangular frames – which makes a smooth playback impossible even on modern devices with high processing and graphical computing capabilities. Field of View Adaptive Streaming addresses both aspects and reduces the required bit-rates and processing resources by rendering the field of view in the cloud in advance and by streaming only the selected field of view to the client. By doing so, many features which are applicable to classical videos can be also applied to the FOV videos for example: adaptive streaming using DASH and MSE, efficient delivery over existing CDNs and DRM Support over EME, and even Live Streaming scenarios. 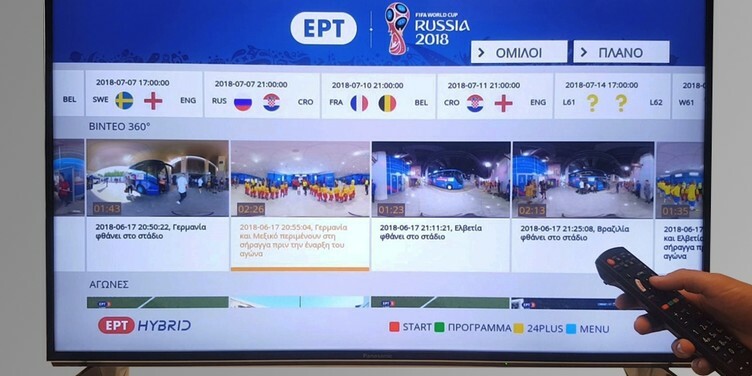 The solution also supports synchronization across multiple TVs and other devices (even mixed) so that a shared as well as an extended experience is possible.